Kishor, N.K. & Morely, J. (2015). What Moves the Price-Rent Ratio for Housing? A Modified Present-Value Analysis, Journal of Economic Dynamics and Control, 58, 235 – 49. Bahmani-Oskoee, M., & Hosny, A. (2015). The Exchange Rate Disconnect Puzzle Revisite. Kishor, N. K. (Ed.). International Journal of Finance and Economics, Vol. 20, 126-137. Kishor, N. K., & Kumari, S. (2015). Consumption and Expected Asset Returns: An Unobserved Component Approach. Macroeconomic Dynamics, 19, 1023-1044. Kishor, N. K., & Koenig, E. F. (2014). Credit Conditions as Predictors of Economic Activity: A Real-Time VAR Analysis. West, K. (Ed.). Journal of Money, Credit and Banking, 46(2-3), 545-564. Kishor, N. K. (2012). A Note on Time Variation in Forward Looking Monetary Policy Rule: Evidence from European Countries. Barnett, W. (Ed.). Macroeconomic Dynamics, 16(Supplement S3), 422-437. Kishor, N. K., & Koenig, E. F. (2012). VAR Estimation and Forecasting When Data are Subject to Revision. Journal of Business and Economic Statistics, 30(2), 181-190. 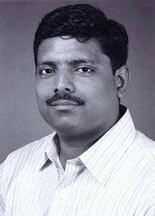 Kishor, N. K. (2007). Does Consumption Respond More to Housing Wealth Than to Financial Market Wealth? If So, Why? The Journal of Real Estate Finance and Economics, 35(4), 427-448. Kishor, N. K., & Kochin, L. A. (2007). The Success of the Fed and the Death of Monetarism. Economic Inquiry, 45(1), 56-70.